Myrrh. Whenever I say this oil in my head it sounds like merr-er-er. Just like Steve Martin’s character in the movie “The Man with Two Brains”, Dr Hfuhruhurr. I can’t help it. I’ve created a permanent synapse in my brain, that pronounces myrrh like Hfurhruhurr (except with an M). I don’t really use myrrh very much and maybe this is the reason. I do however, use myrrh as an oil of abundance – a little goes a long way. 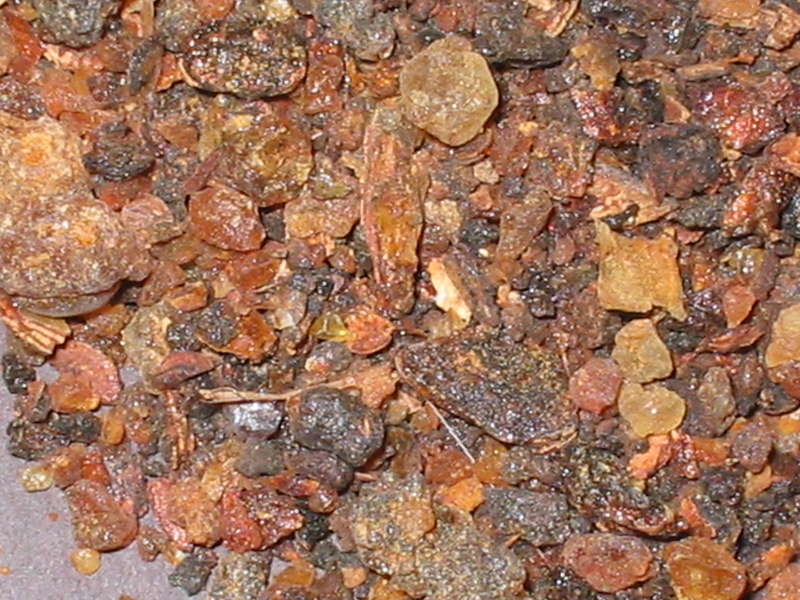 Just like frankincense, myrrh is a resin in its natural state and then it’s steam distilled to produce an essential oil. In all bottles of myrrh that I’ve owned, before too long the cap is often stuck to the bottle with the dried oil – it wants to revert back to its original form. This never happens with frankincense which is quite a thin oil. Look how similar the trees are – they are from the same family, Burseraceae, but a different genus. 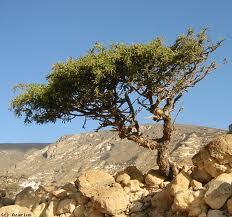 Myrrh is from Commiphora, and frankincense is from the Boswellia genus. 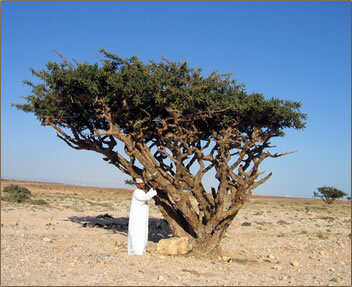 Myrrh is native to parts of Africa and still revered as a great healer. We know of stories in the bible which tells us that this resin has been used for centuries. Like many of the older plants and oils, myrrh is also noted in ancient Egypt as an important ingredient in the holy incense kyphi, and the temples of Jerusalem in the incense of ketoret. I’ve just written about spikenard (see my article Spikenard – an Essential Oil with a Rich History and a Heady Scent), which appears in the same texts and was also an ingredient in these ceremonial incenses. 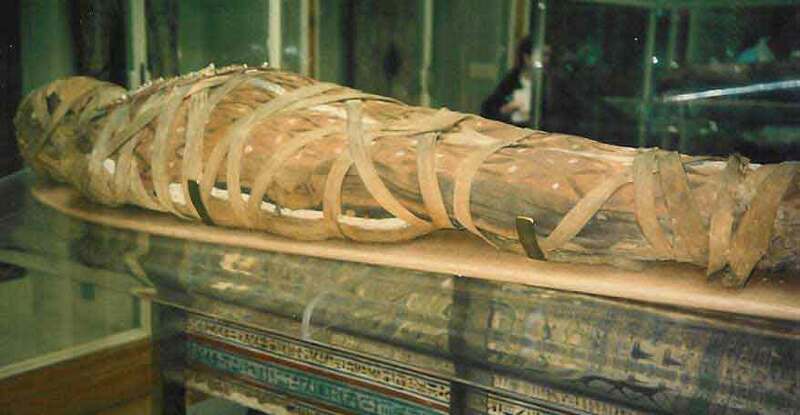 With its amazing qualities of healing and preservation you can see why the Egyptians used myrrh in embalming. If it’s hardening on the lid of my oil bottle then it’s working that way when embalming a body! Myrrh is a great wound healer and works really well with gum disease and mouth ulcers. I would use myrrh in an oil blend with a client to add dimension to the scent and to address fears of lack, and a general feeling of being unsupported. I love myrrh to stimulate healing from past hurts and to help someone gain strength to continue in life. Embrace myrrh as an oil to support you in your connection to the divine. 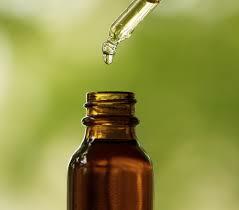 Be sparing with myrrh in your oil formulations as a little goes a long way. This entry was posted in Essential Oil Profiles, Essential OIls, Essential oils & The Evolution of Human Consciousness and tagged aromatherapy, clear your mind, consciousness, daily ritual, essential oils, essential oils for abundance, essential oils for coughs and colds, essential oils for emotional stuff, essential oils for expansion, essential oils for meditation, essential oils for warmth, essential oils for wound healing, essential oils of the Bible, evolution of human consciousness, frankincense essential oil, health, intention, ketoret, kyphi, myrrh essential oil, myrrh tree, natural scents, natural skin care, resin, scent by suzannerbanks. Bookmark the permalink.